THAT'S RIGHT...HANGOVERS NEVER LOOKED SO GOOD! No, we didn't stutter when we said "Hangover Makeup." 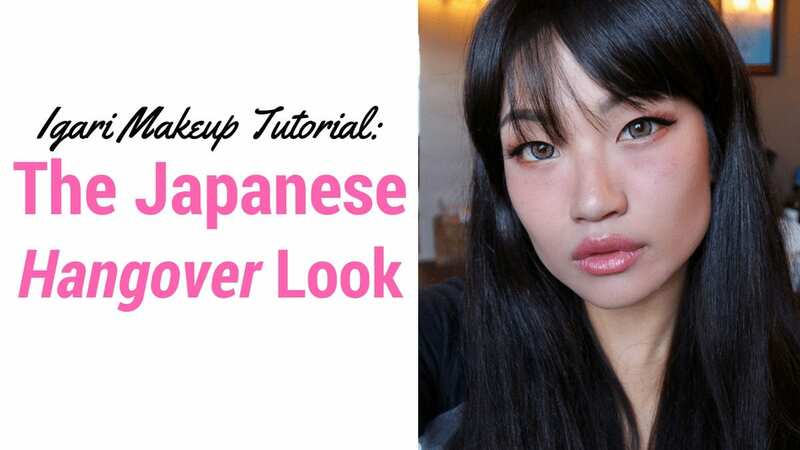 This is the real deal and we absolutely LOVE this Japanese trend. 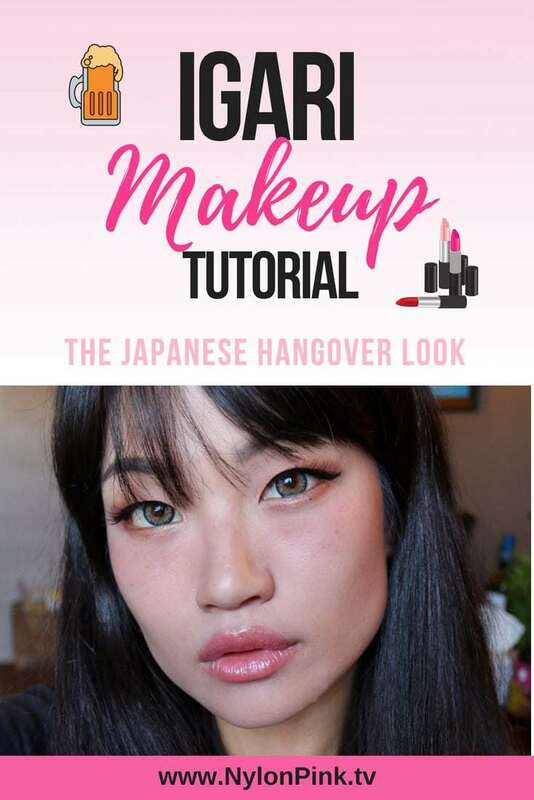 Basically, the makeup is supposed to replicate the day after a heavy night of shenanigans and drinking. Generally, your skin is flushed, you have a bit of sparkle in your eye, and you're definitely ready for that pick-me-up Bloody Mary. 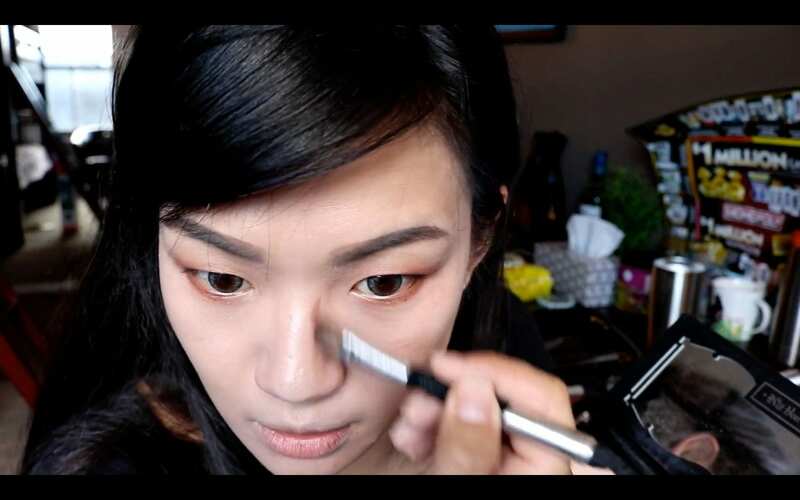 We decided to replicate the Igari makeup tutorial and give you the exact play-by-play of how it's done. 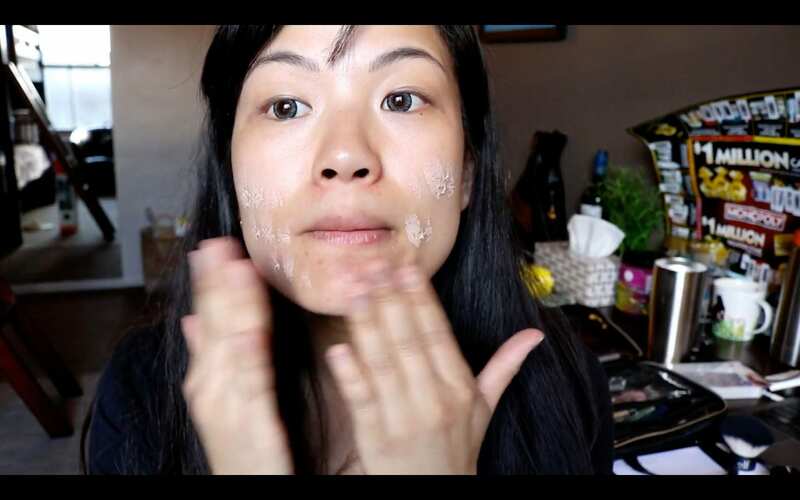 First, use a primer that fills in the appearance of your pores. 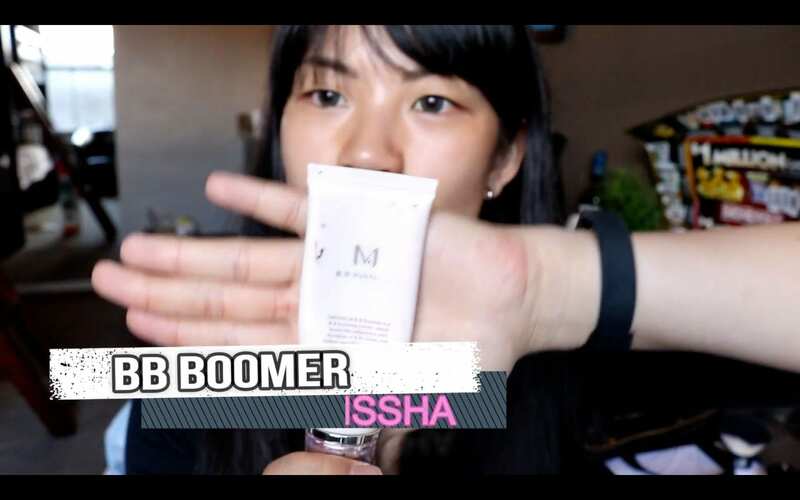 My favorite primer of all time is the MISSHA M BB Boomer primer since it has a slight luminescence to it. 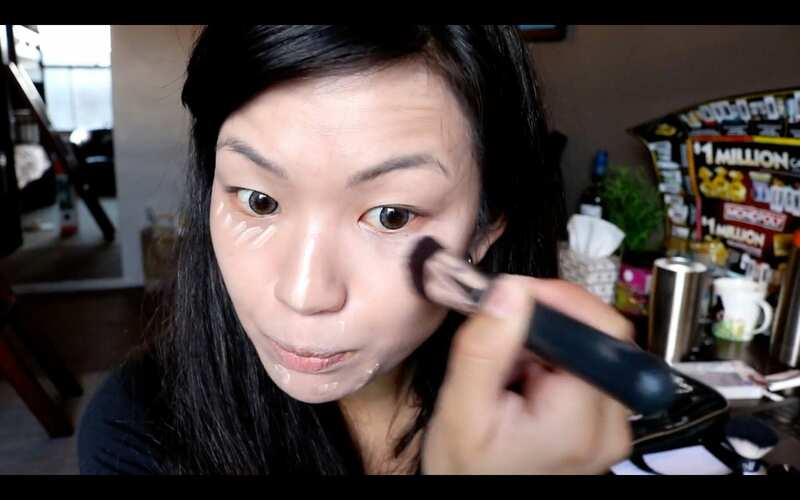 Next, apply your favorite foundation covering your entire face. You can use a strong BB or CC cream. 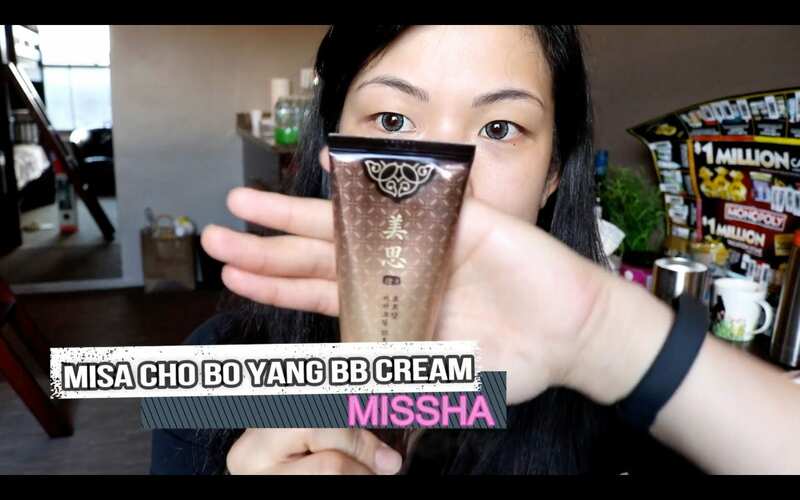 I absolutely LOVE Missha's Misa Cho Bo Yang BB cream because of it's long lasting incredible coverage. You can either apply the foundation with a brush, or gently pat the product into your face with your hands. This is a great technique if you want to prevent from getting wrinkles. Also, do not be alarmed if the BB cream looks a little bit grayish in color. The product takes time to sink into your skin, so it will blend within about 10-15 minutes. Using a brush tip concealer, apply onto the areas you want to highlight on your face. I apply a few streaks under my eyes and down my nose. 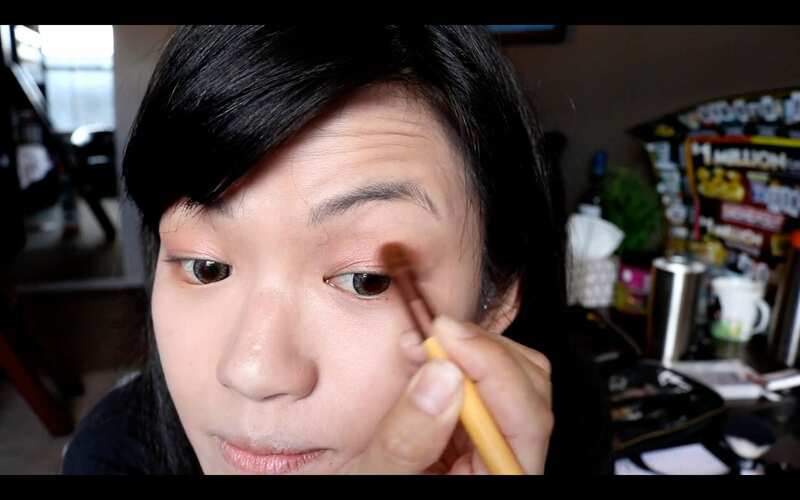 With a foundation brush or sponge, blend in the concealer into your skin. 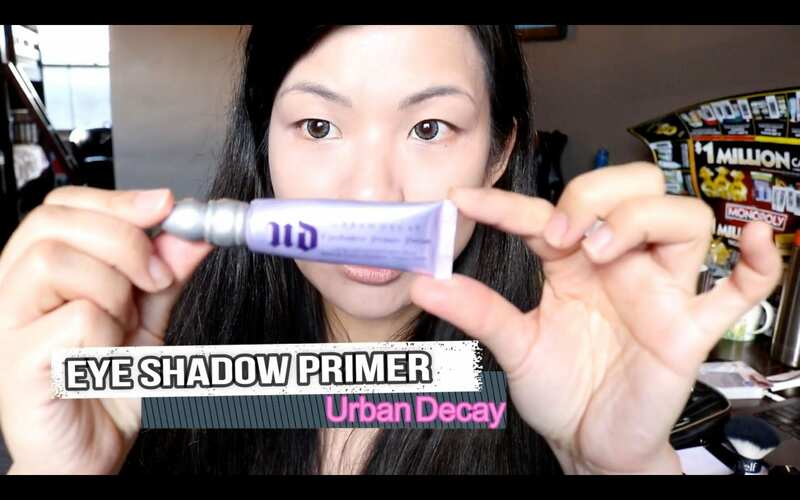 This eyeshadow primer changed my life. No joke! 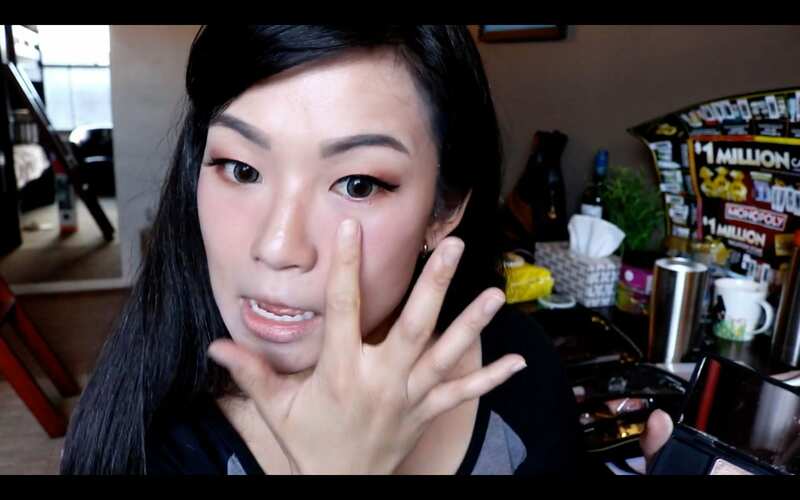 For a while, i was just applying eyeshadow directly onto my naked eyelids. I always felt like I couldn't get the color to stay. This primer keeps your eyeshadow fresh and bright throughout the day. Plus, a little goes a long way with this product. 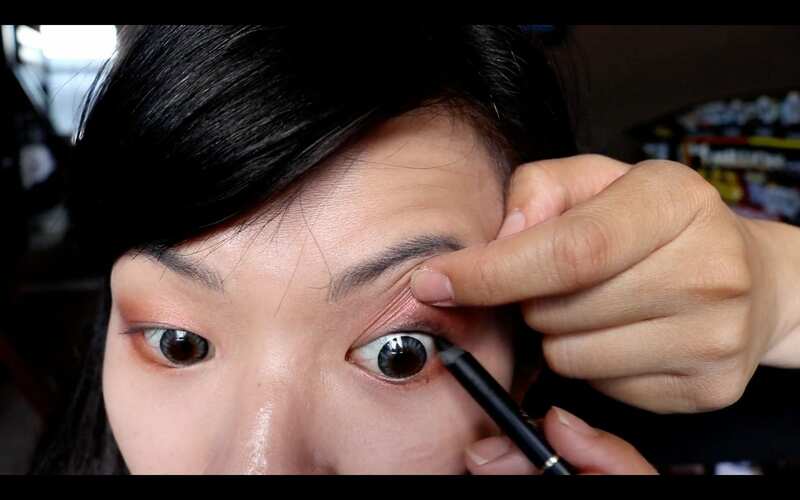 You just need a tiny dab on each eyelid and you're good to go. 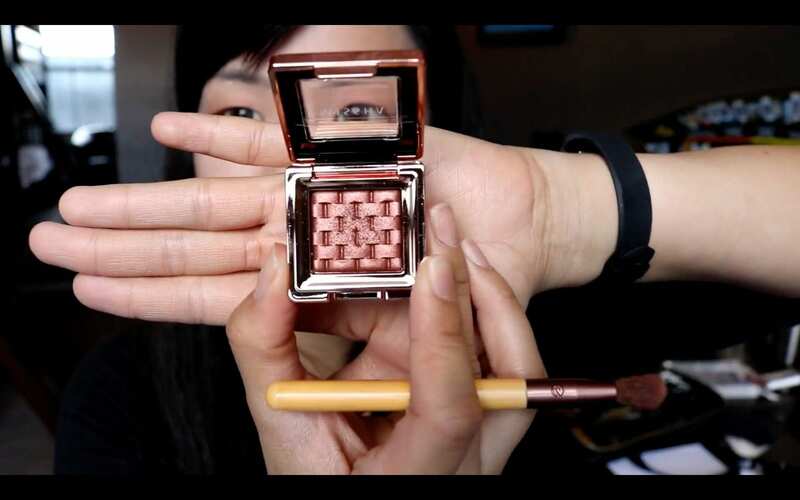 Using a fluffy eyeshadow brush, apply a light colored pink eyeshadow to your eye lids. In my case, I have monolids. I don't have the standard epicanthal fold that many non-Asians have, so I can go kinda crazy with this application. 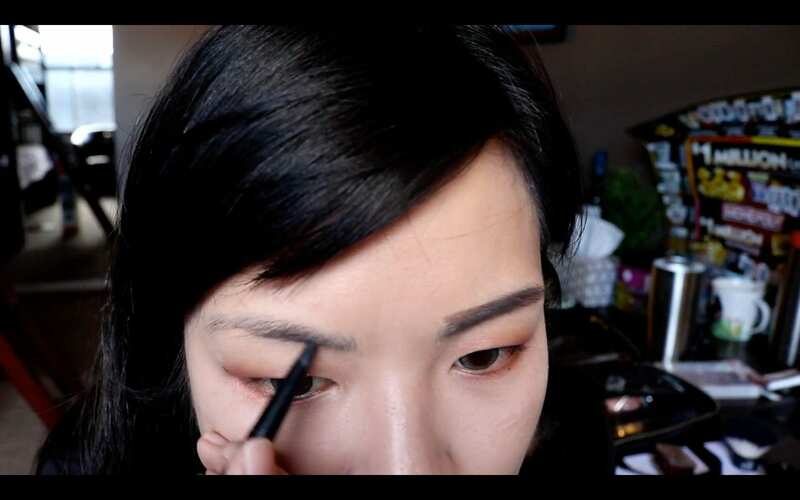 If you do have a folded eyelid, I recommend applying over the top of the eyelid and into the crease. 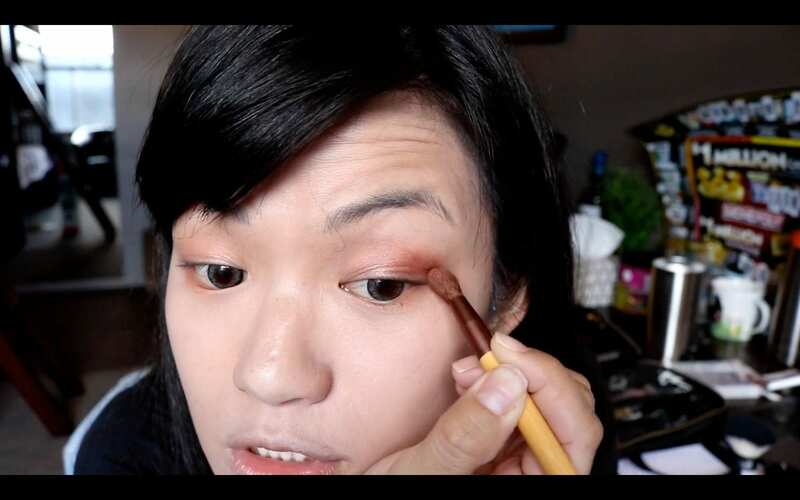 With the same brush, use a dark burgundy color eyeshadow with reddish undertones and apply on the outside corners of your eyes. 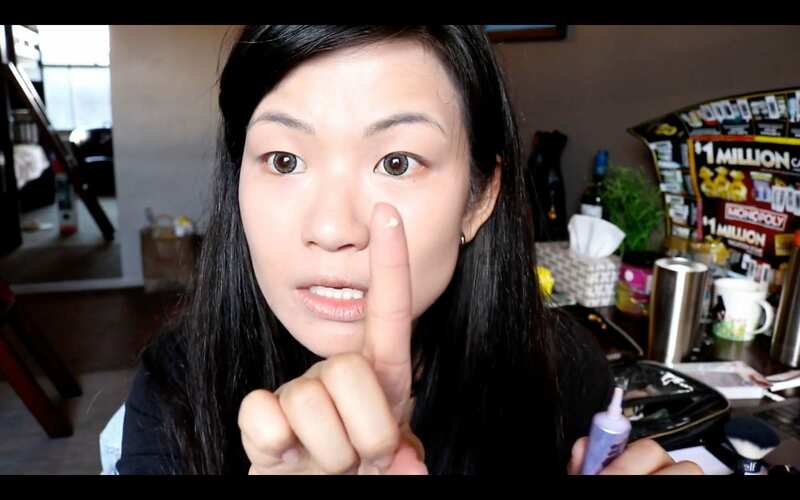 If you have eyelid folds, apply this along the crease line. 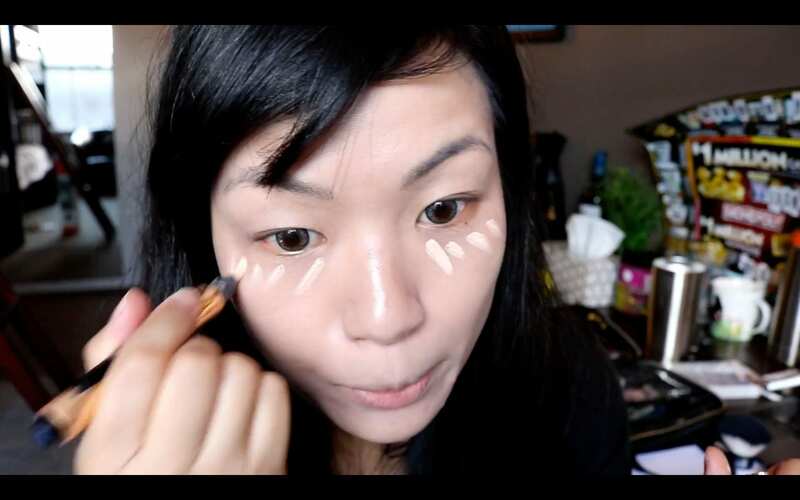 Just recently, I've been adding tightlining to my makeup routine and I absolutely LOVE it. 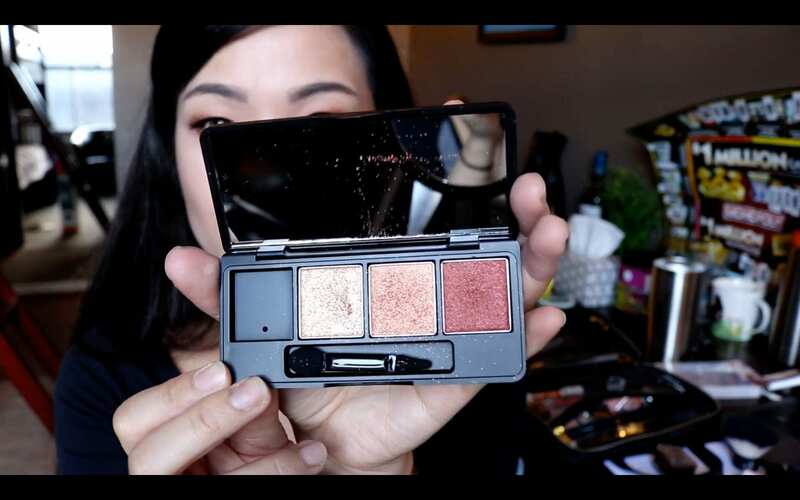 It really cleans up the entire makeup look and makes your eyes pop. In order to achieve this look, make sure to pull your upper lid up and line the waterline of your eyes. This creates no dead-space between your liner and your eye. After many years of trial and error, I finally found that the Kat Von D Tattoo Liner is one I can't live without. 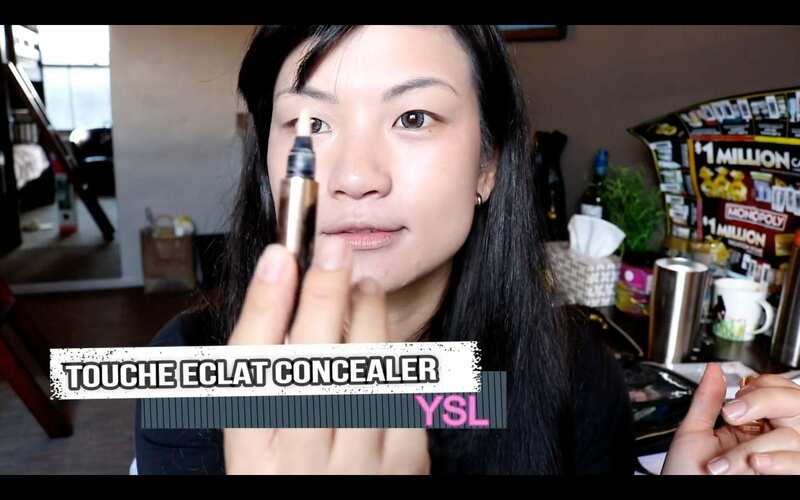 This product is really easy to use when applying and stays on all day long. 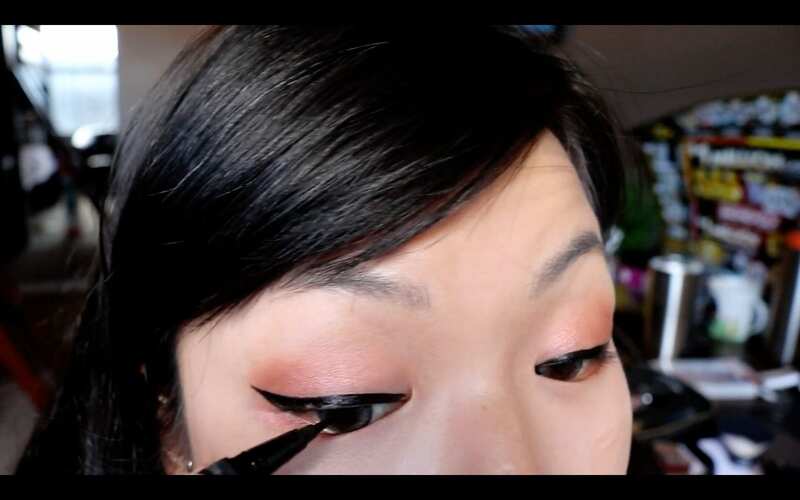 To apply winged liner, I usually do one sweep across the top of my eyelid. Then I finish it by connecting the bottom line of my lower eyelid to the end of the tip. Then, I fill in the rest. Practice makes perfect for this technique, so don't worry if you don't get it right the first time. 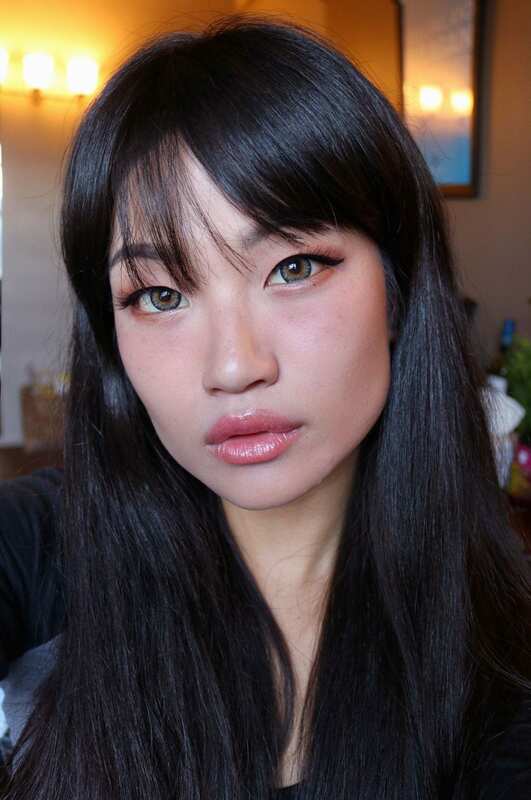 In Asia, straight across eyebrows are very popular right now. However, I got my eyebrows microbladed last year and I have to draw in extra to make it look straight. 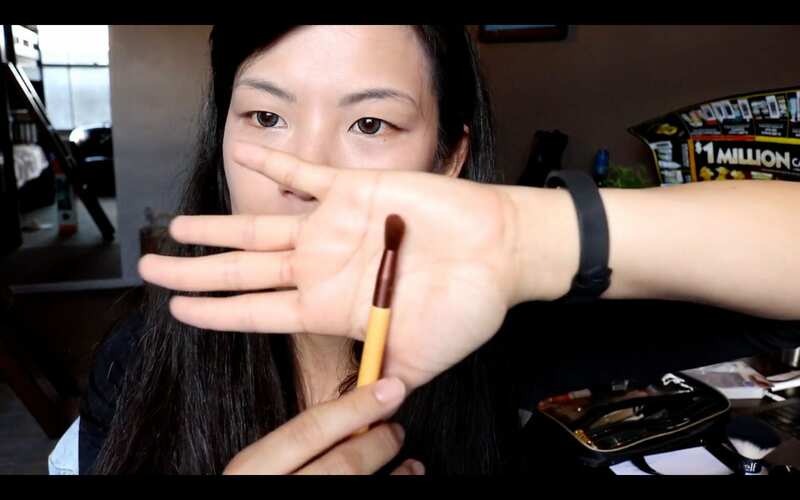 You can use any standard eyebrow pencil or if you prefer an angled brush and powder, that works as well. 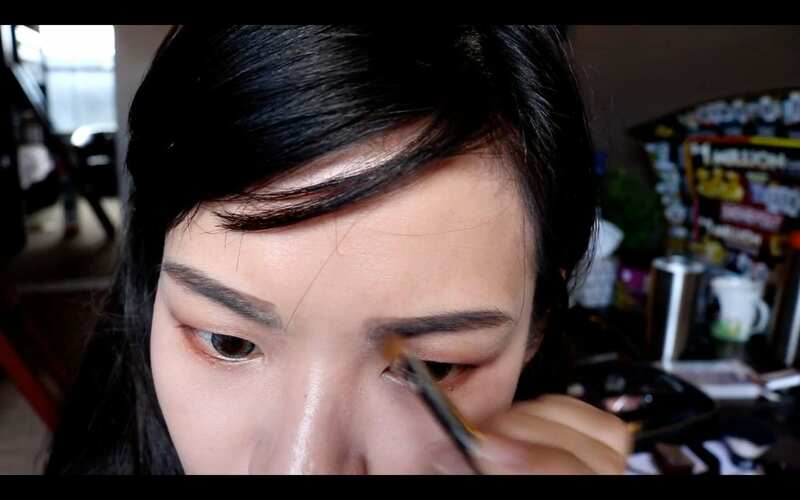 Using a flat brush, blend in the inside parts of your eyebrows to create an ombre eyebrow effect. This makes your eyebrows look a little more natural. I call this the "instant nose job" effect. 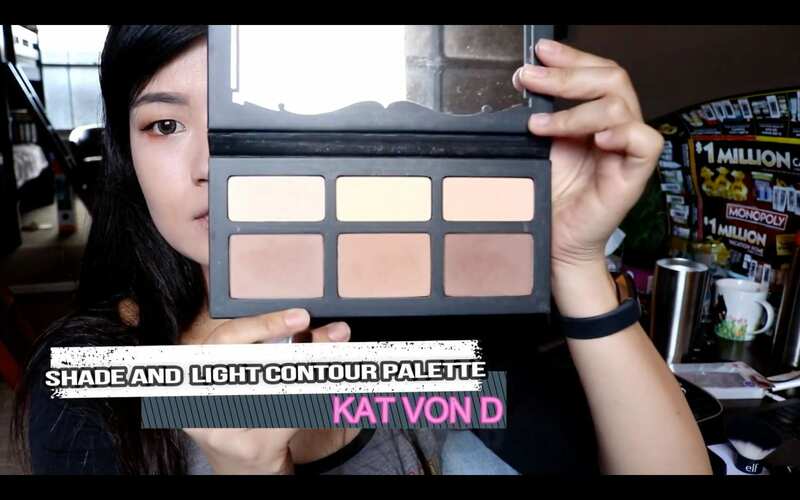 I love Kat Von D's Shade and Light contour palette because the tones match my skin tone very well. Also, the product is very smooth when applying to your skin and lasts all day. Using a thick angled brush, apply the dark control along the sides of your nose and along the area where your nose meets your eyebrows. 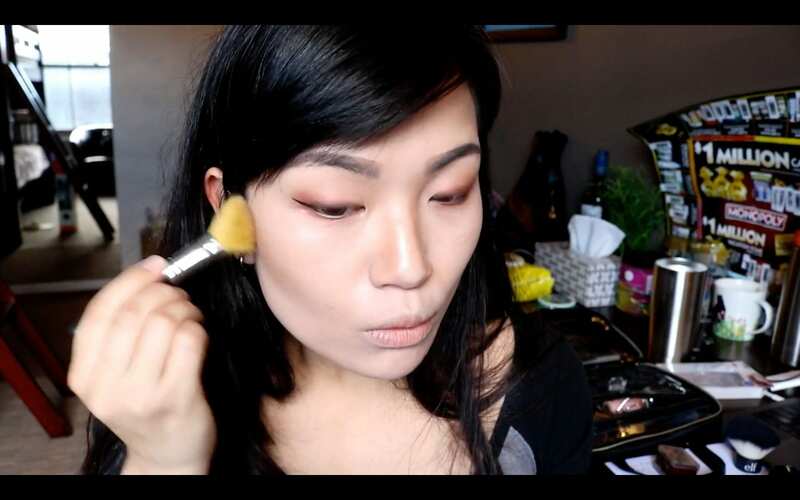 Also, using a blush brush, make a fish face and contour your cheek bones. I have some pretty gnarly facial features so I can go crazy with this, but make sure to not over exaggerate it too much. Apply your favorite eyelashes to make your eyes pop! I love these eyelashes by kiss since they are longer at the outside ends creating a cool flare look. Now for the best part! What happens to most people when they drink heavily? They get flushed. Unfortunately, I am traveling and did not bring my blushes. 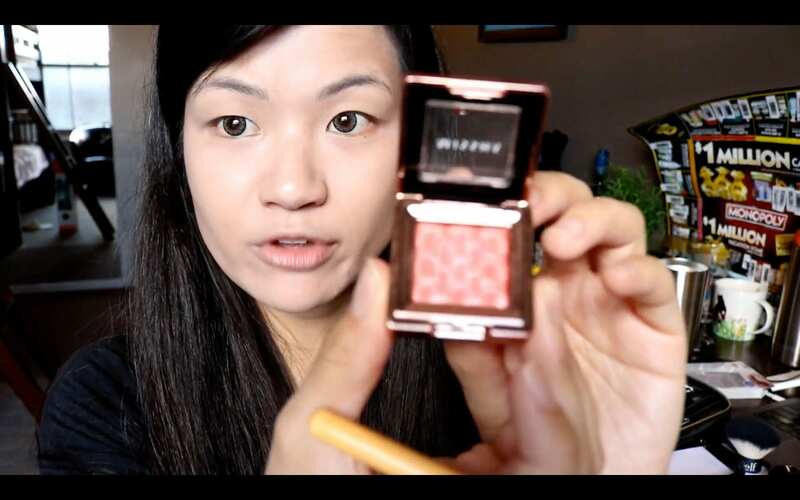 However, I had a red eyeshadow from MISSHA that I recently got from Korea. Just dab your fingers into the product and apply. Apply the red along your cheese and most importantly on top of your nose. It may seem a little funny, but it really creates a flushed look. Freckles? Yeah, why not! 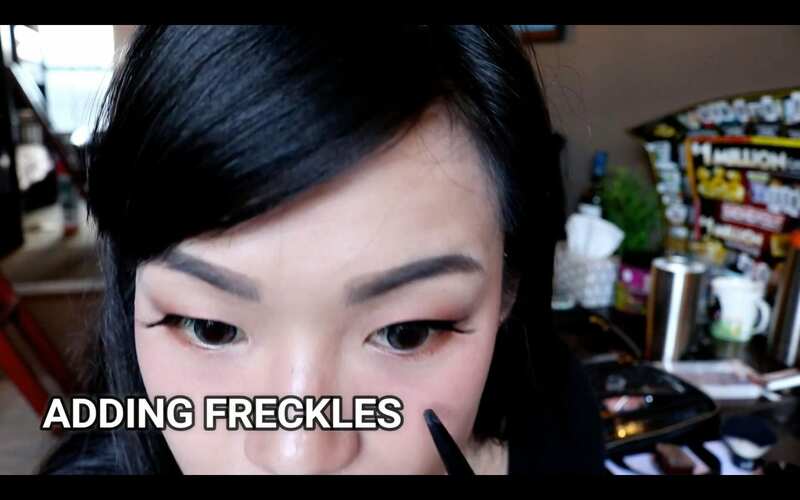 I decided to add freckles using a brown eyebrow pencil (since I didn't have a brown eyeliner). Just add them across the top of your cheeks and along your nose. 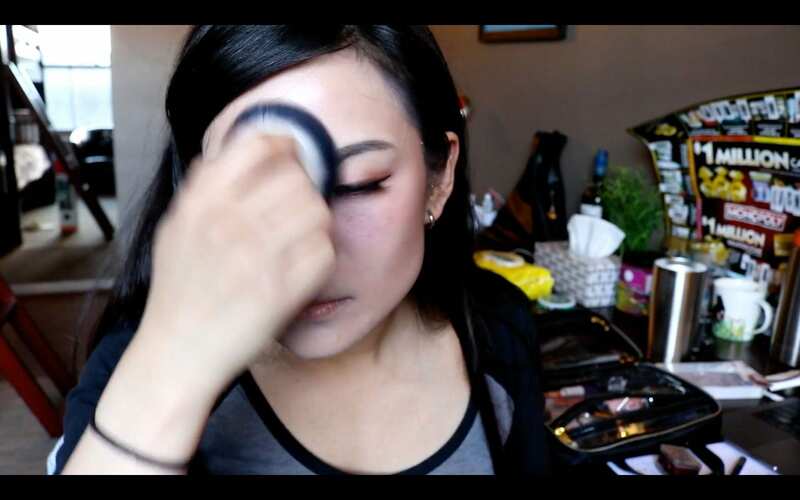 With a big fluffy kabuki brush, set your makeup with a loose setting powder. I love Laura Mercier's products since they are high quality and create the perfect matte finish. 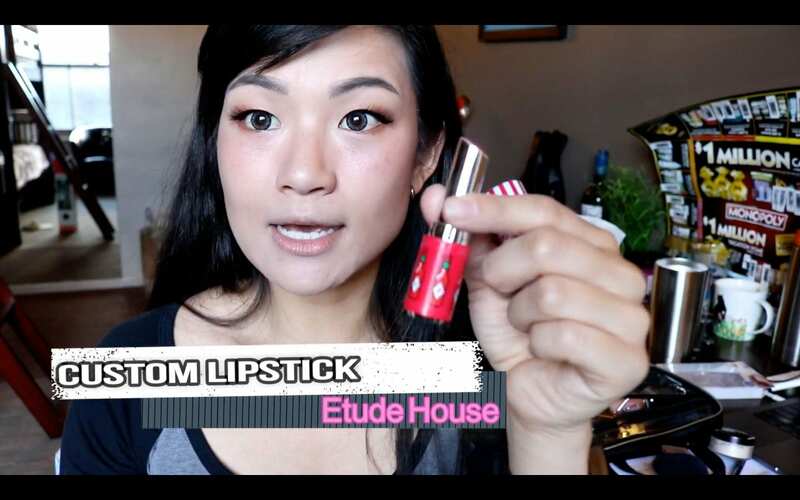 If you haven't heard of this lipstick by Etude House before, you're in for a treat. These lipsticks come in a vending machine which you can customize your color and case. If you're ever in Seoul, you gotta check it out. However, if you're not able to go to Korea anytime soon, you can use any standard bright red or pink lipstick. Last but not least, add some pout to your lips with a bright pink plumping lip gloss. 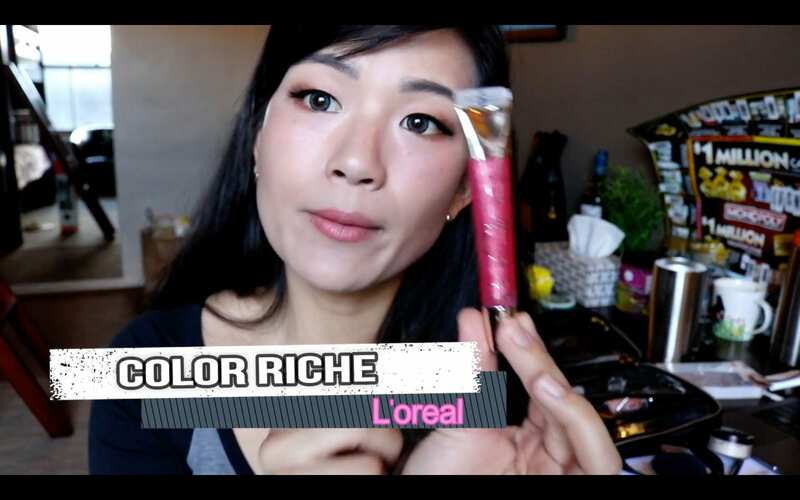 I love L'Oreal's Color Riche lip gloss because it tastes like vanilla and has a beautiful finish that sparkles and moisturizes. The Best Luxury Body Lotion Fit for a Queen!